Since Linux Mint 17. * are all based on Ubuntu 14.04 (Trusty), using the trusty PPA will work. 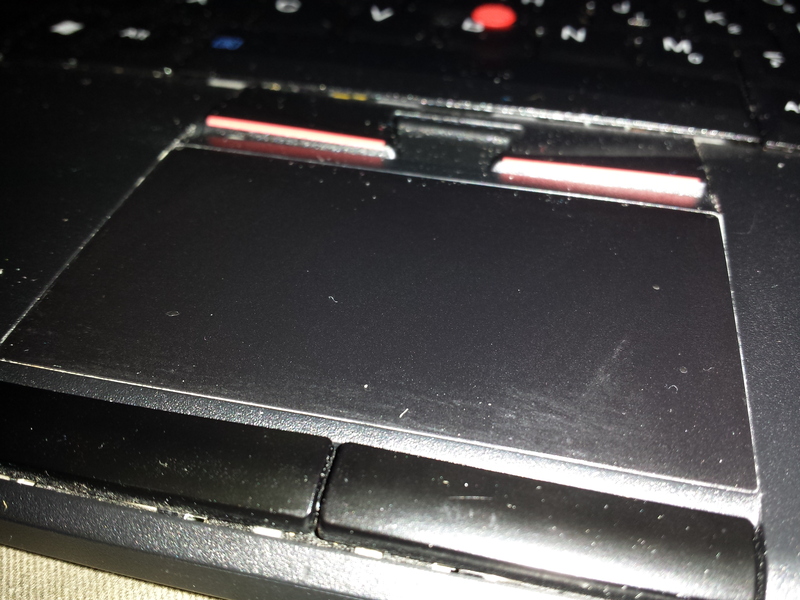 So, I’ve been repairing some Lenovo T420 laptops recently and a few of them have had really worn touchpads. Unlike the older generation of Thinkpads, the T420 has little dots all over the touchpad, giving it a textured finish. I’m not quite sure what the design motivation was behind this, but they seem to wear off quickly, leaving the touchpad looking quite unsightly. One of the T420’s actually had a smooth area in the centre of the touchpad that all the dimples had worn off from, which gave me an idea. I wonder if you can simply scrape off the textured dimples? In order to remove the textured surface from the touchpad, you’ll need something ridged but not abrasive. A knife is not a good idea. Use something like a finger nail or old bank card and carefully scratch a the surface layer of the touchpad. On my first attempt this was easy, the dimples had erroded in the centre allowing me to start from there and work outwards towards the edges of the touchpad. I’d assume if the touchpad isn’t in such bad condition simply using friction would yield the same results. By the time I’d finished I had a smooth touchpad, similar to that of the T500 range. There was some leftover glue residue which can be removed using furniture polish sprayed onto a cloth or kitchen towel and gently rubbed over the affected area. An alternative to this is you can buy replacement touchpad stickers with the texture on eBay or similar – searching for “T420 touchpad” seemed to return plenty of results. This post provides practical steps to setting up docker to run on Linux Mint 17.2, which is what I’m using on my development machine at the moment. Before beginning, make sure you have remove any existing version(s) of Docker from your system. Once I logged in all of my old data was available and Piwik was working again!